He would say “Well obviously,” ‘cause 12-year-old Brian was a nerd who expected a flying car by now. When I was in high school, Jay-Z was pretty much at the top of the game and dropped the single Girl’s Best Friend for the Blue Streak soundtrack… was it a great track? I mean, for the time it was decent, but ultimately what it spawned was commercial crossover tracks. The song broke into the Hot 100. I’m not saying that that wasn’t common for Jay-Z at the time, but from what I remember, it wasn’t common for soundtracks from black movies to garner that much success. Fast forward to the Black Panther film in 2018. Kendrick Lamar is doing a whole project dedicated to a Marvel Studios film, and it feels like the second generation of that Jay-Z hit. Black artists can now make an album with the blessing of a major movie studio; films can now back concept albums. Black Panther was strategically released during Black History Month. Tapping Kendrick Lamar was a smart move because everyone fucks with Kendrick and TDE. The initial push was to bring in black support and blend that with the huge multifilm projects of Marvel Studios, but none of that took away from the great music or film. Skip to the end of 2018 and Marvel strikes gold again with their Sony Animation branded Spider-Man: Into The Spider-Verse. If you glean anything from my previous post or were nice enough to check out my podcast, you know that I am a pretty diehard comic book fan. I consider the stories in comics the modern day version of mythological storytelling and the music that goes with it is an equally important part of the experience. At first, I wasn’t sure about the Spider-Man soundtrack because I thought it would be too much of a concept project like Black Panther’s was. Just because the music is good doesn’t mean it is the right fit for a film. This is where it all got interesting. I was listening to Amine’s Invincible a couple of weeks ago, unaware that it was on the Spider-Man soundtrack. It was just a smooth track that spoke to being vulnerable and working on being stronger. I mean with a line like “Stop feeling invisible and start feeling invincible,” you get the whole positive-thinking vibe. So when I looked up what album the track was from and saw it was from the Spider-Verse soundtrack, I was more interested in exploring the album. I either like all of the tracks on this soundtrack or at least appreciate the effort. Blackway & Black Caviar’s What’s Up Danger is an epic way to start the album, with high energy that taps into the whole duality of superherodom. The film’s protagonists are constantly a danger to the world around them but an important part of their city’s survival. 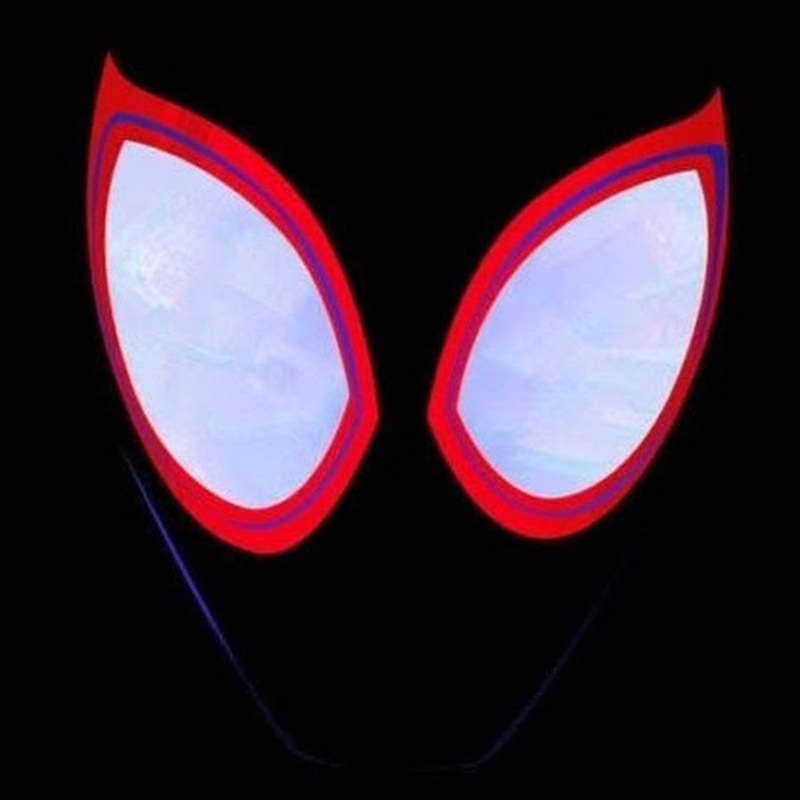 Jaden Smith’s Way Up, Duckwrth’s Start a Riot, Save The Day and Elevate, are all great Spider-Verse tracks. They all get what the project is about. This is anthem music for a new generation of Spider-Man fans, and as much as hip-hop can be grimy, all the artist were able to still play their street swagger without saying anything offensive. A kid-friendly, hip-hop Spider-Man album… it’s just smart. Sunflower by Post Malone & Swae Lee is probably my least favorite track on the album because it feels like it was made before the movie. I think it was since Miles Morales sings the song in the movie. It fits in the context of a song that a teenage Miles would rock too, but not as a song that fits on the soundtrack, and I know that makes NO sense. I’m not saying it isn’t a good song, but it sounds like a love song set on Earth-1610 and not on Earth-1218. Familia is a great track, but again not one I want on this album. It made me think of the Fast & Furious franchise and how Vin Diesel likes to say “family” all the time. Hide, Let Go, and sadly, Scared of the Dark did not impress me. I thought maybe it was the order of the tracks or maybe the style of the rap, but in the end, I didn’t like these tracks for this album. As much as I like Lil Wayne, his verse on Scared didn’t have the usual heat he brings to his other music. The chorus was good, but that shouldn’t be my only take-away. To end off the album we got a solid Vince Staples & Richie Kohan track Home about the return after a hero’s journey. Why is that important? All hero stories are structured the same and that final act of completion and returning better, wiser, and stronger is important to the story. The producers of the soundtrack reflected that journey by starting with the insecurity but bravado of What’s Up Danger and the pride in the success of Home. The Spider-Man: Into the Spider-Verse soundtrack is a better soundtrack than Black Panther’s if you look at the themes of the albums as they reflect the story in their respective movies. However, the Spider-Man: Into the Spider-Verse soundtrack is not better than Black Panther's soundtrack. Both are fun to listen to, but one of them makes sense to listen to while playing my Spider-Man game and the other didn’t fit while I was reading Black Panther comics. I recommend folks enjoy the album for what it is: a compilation of great Spider-hero laced raps about being a better person and crime fighter.